Although it’s apparently been hard to keep the new models a secret, Mattel continues to expand its BOOMco line by leaps and bounds. 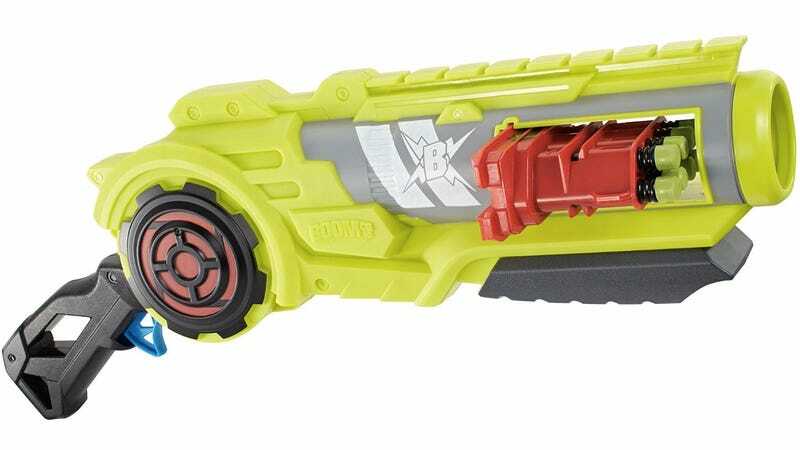 The folks at Blaster Labs first spotted the new BOOMco Breakflip while it was still just a sketch at Mattel’s offices, but official product shots and info have apparently been leaked by Amazon. Like the recently-revealed Dynamag, the Breakflip uses the BOOMco dart cartridges but mounted horizontally so there’s no risk of them falling out in the heat of battle. It comes with an eight-dart clip, but Mattel claims it’s also compatible with the 20 and 40-dart versions so you don’t have to keep reloading after every shot.